Probably early 19th century in origin; refurbished 1945-46 with later alterations. 3-storey, 2-bay block forming part of terrace with public house at ground. Painted render. Base course; corniced shopfront with fluted pilasters to outer left and right and dividing bays. Modern windows to front; rooflights. Grey sate roof. Corniced sandstone ridge stacks; various cans. original tables. Sliding timber door to male toilets with plaque inscribed 'Gents Lavatory - Slide it Chum'; original handle. 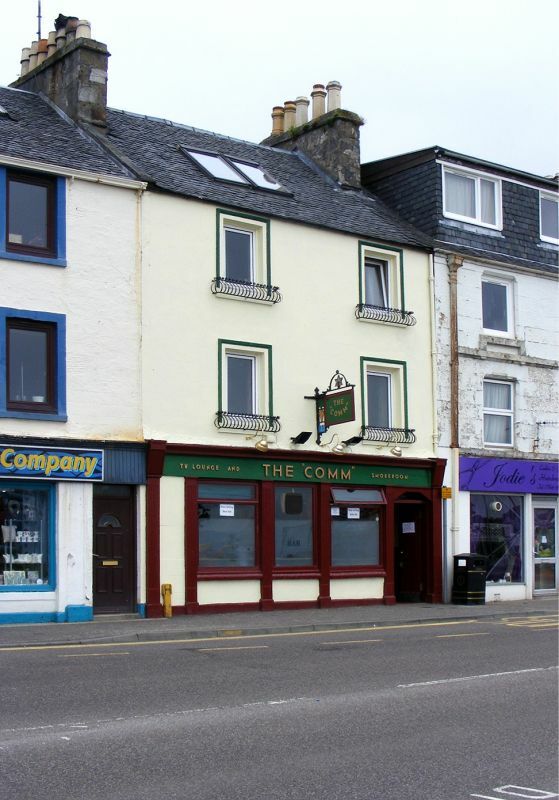 A relatively plain 3-storey block, listed primarily because of its well-detailed public house (still in use as such 1999). Refurbished in 1945-46, the quality of this detailing, the majority of which remains intact, is unusually high - the bar, dado panelling and back-lit panels being particularly good.